100 and 300 Individually packaged Freshends All Natural Towelettes. Introducing our new all natural fragrance, paraben free towelette, individually packaged Freshends towelettes in our original packet design. 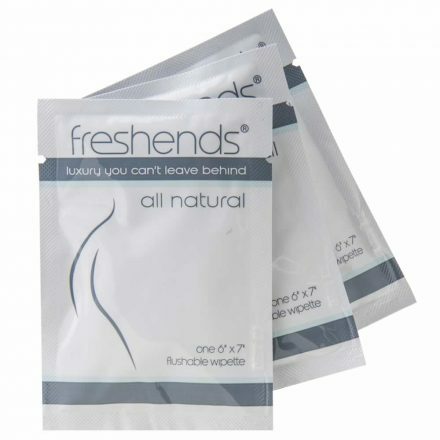 Freshends eco-friendly individually packaged flushable wipes for the bathroom.